Wow, What A Great Short Story! The evil Librarians are coming! A hero with an incredible talent...for breaking things. A life-or-death mission...to rescue a bag of sand. A fearsome threat from a powerful secret network...the evil Librarians. If you could sum up The Dark Talent in three words, what would they be? What was one of the most memorable moments of The Dark Talent? When Bastille woke. I felt like a kid again as I laughed. It was probably good that I was in the confines of my own bedroom at that moment, because I was laughing like a maniacal fool. What does Ramon de Ocampo bring to the story that you wouldn’t experience if you just read the book? He brings a great assortment of voices, along with life to the characters. Please do listen beyond the credits, if not, you will miss something VERY important. Loved it! 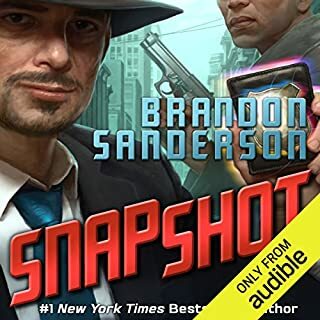 Brandon is like no one else and he continues to deliver in this 5th book. It has everything you would want out of an Alcatraz book and more. I was a little disappointed with the 4th book, but this book felt like new life was breathed into the series! If you read the first 4 books then the 5th book is a must read! Don't read this one until book 6 comes out. Just don't do it. Trust me. If you listen to this book anyway, remember this review and say, "Yup, that dude was right. I should have waited for the other half of the book." Super disappointed in this one. 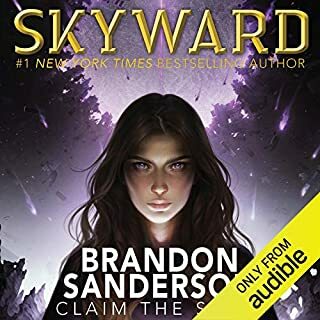 Never been disappointed in a Sanderson novel, but wow. Half a book. Seriously. He warned us. We still didn't believe. It's was an amazingly awesome series. It had fresh and novel ideas, the magic system was really well thought out and the characters zany and cartooninsh. But best of all the stories grew, the series changed and grew dark and terrible and ended in the way the author intended. I applaud the determination and the guts to do it. Unfortunately I felt it was a weakly written novel. the overall story is fantastic, but didn't do it for me. in the end I just felt sad and betrayed, heartbroken in the bitter realization that it wasn't a joke, I wasn't lied too, and no there wasn't any plot twist or gotchas. The salt was that I didn't even enjoy the wordsmithing. The literary masterpiece that allows for immersion with the story. No this felt like someone trying to tell about a bad accident and not having the right words to describe it. I hate you Brandon Sanderson. As usual, fantastic writing, great narration from a guy who actually seems to understand the characters, and oh yeah completely infuriating. sometimes I think that being a Sanderson reader is an act of masochism and his books have made me rage quit twice. And I hope he never stops writing. I have never disliked a book more. spoiler, read book one, particularly the introduction. it tells all. 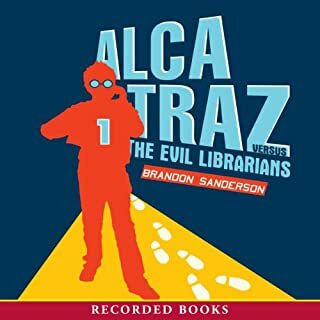 Let's go lynch Brandon Sanderson! I love and own pretty much all his books, but I think, after this book, extreme measures are required to stop him from turning my feelings into puree! He is, however, already expecting a lynch mob (he basically said so in About the Author), so he might have extra defenses up. By the way, the narration was second to none, and every book in this series makes me laugh more than any other book. 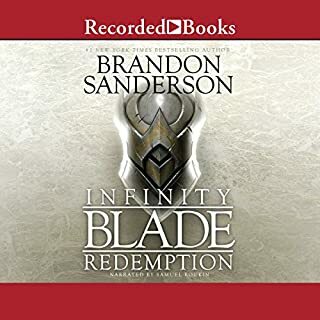 Brandon Sanderson is still my favorite fantasy author despite the fact that we need to string him up for what he did. 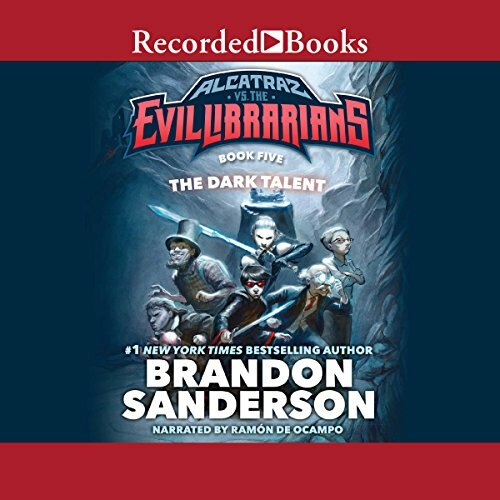 Would you consider the audio edition of The Dark Talent to be better than the print version? This is an odd question, but luckily I both read it, and listened to it so I feel like I am in a great position to answer. Reading this one is better, the foot notes make the book pretty interactive and fun. I mean the narrator reads them, but it just is not the same. I would probably say the dedications. 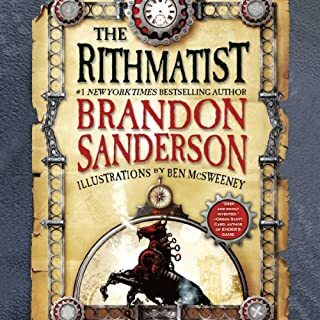 Yes, mostly because I think Brandon Sanderson can do no wrong. I will say it felt like the author was trying to reconnect with the character a lot in this book. It almost didn't go with the rest of the books, but managed to by the end. At the conclusion of the last chapter I almost through the book out the window and grabbed a pad of paper preparatory to some serious angry fan mail. However, then read how thankful he was to all his family and friends and my heart softened. I think this book is probably conveying what the author intended, but sort of like Game of Thrones or the Dark Tower series, it's more about the journey than the destination. For many, this means that the book will feel like something important is missing. If, however, you are content with an interesting story with unexpected twists and bizarre humor, and particularly if you are tired of the same old, same old, then this story won't disappoint. 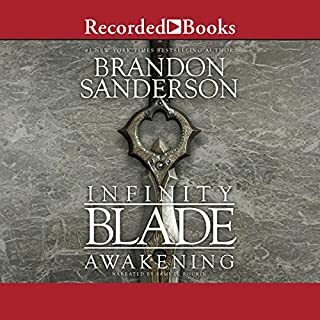 The narrator really captures the essence of the characters very well and I really enjoy listening to him. I highly recommend this book to those who don't need the tidy closure that many other books offer, but who can really appreciate a good story telling. I think you will enjoy the ending ending, which is further along than you think, and of course, Ramon de Ocampos, my favorite narrator.